Michael initially came to the College to study a BTEC Diploma Level 3 in Performance Arts, progressing onto a FDA in Theatre and Performance. 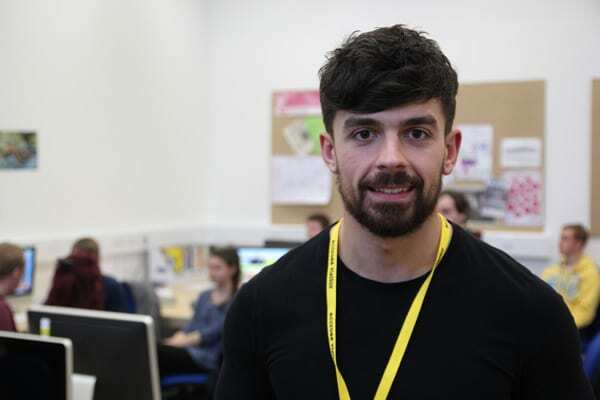 After gaining glittering results alongside being one of the College’s star students, Michael did his BA Hons in Film and Digital Media, again passing with flying colours. Michael now works at The Bee Radio, presenting his own show! Michael regularly comes back to the College as a special guest and offers advice to current students who are pursing a career in radio.